I had a post on fringe accessories all planned for today.. but then late last week I spotted this bag. And then, there were these earrings. 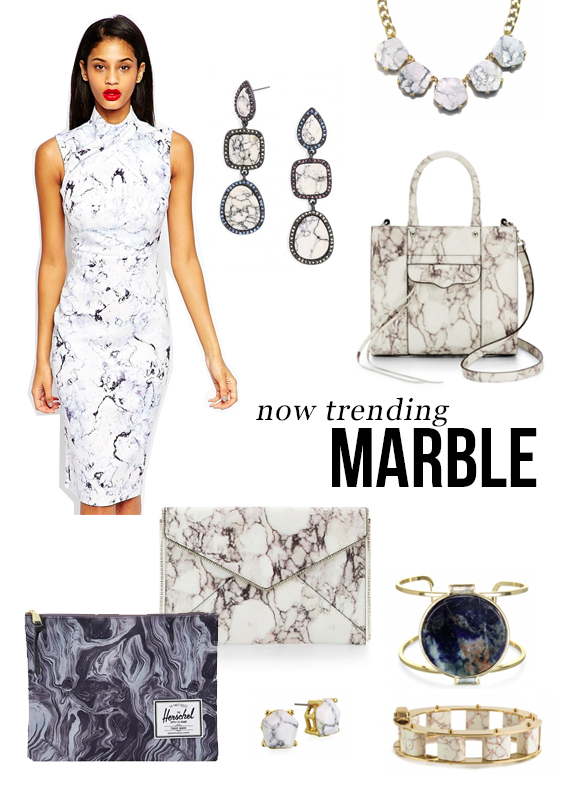 And suddenly – the only trend I cared about for Spring was the gorgeous organic with an edge look of marble. Whether in prints like this sleek sheath dress or natural howlite or sodalite stones like on this cuff, this trend would be just as perfect with denim on the weekends or dressed up for date night. What Spring trend are you ready to try?